I like eggs and you should too (am I preaching to the choir here?). Eggs are the biggest nutritional bargain on the planet if grown by free range, organic hens. That’s what you get from JVF. And eggs aren’t just for breakfast. 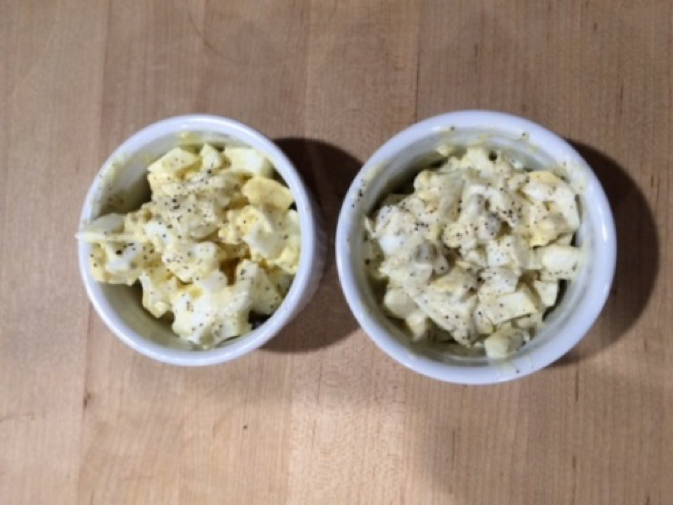 We love egg salad whether spread between 2 slices of Stone Ground and grainy bread or plopped down on a bed of lettuce. What we are doing lately adds variety without adding complexity. Instead of the traditional mayo, we are adding different flavors of salad dressing. What you see above is a cucumber dressing in one, blue cheese in the other, and followed by Thousand Island. It’s a great add. The 1000 Island was sweet so I added some savory and spice. Minced red onion, celery and paprika. 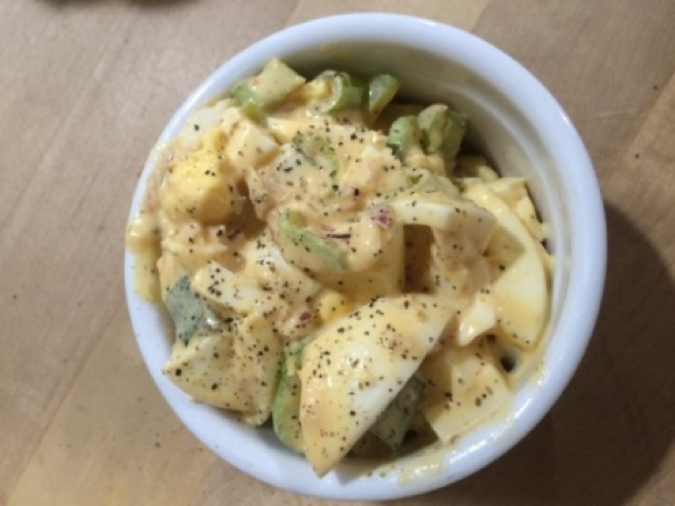 But however you make your egg salad, you are choosing value, fabulous taste and nutrition to your meal. The incredible egg. It’s what’s for breakfast, lunch and dinner. Give thanks to the Happy Big Fat Hen.